SEMA Hall of Fame - Zora Arkus-Duntov, 1973, Chevorlet Motor Division. 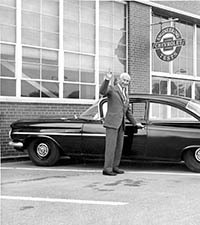 Acknowledged as the “Father of the Corvette,” Zora was a longtime employee of Chevrolet. 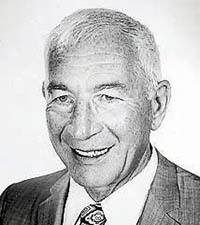 He became popular as the designer of performance equipment for the ubiquitous small-block Chevy V8, including parts that carried his name, such as the Duntov high-lift camshaft. He also is credited with helping to introduce fuel injection to the Corvette in 1957. Showcasing the Corvette, Zora drove Pikes Peak in 1956 in a pre-production prototype Chevy, setting a stock car hill climb record. He also is credited with helping to bring fuel injection to the Corvette in 1957 and for introducing four-wheel disc brakes on a mass-produced American car. Zora is a member of the Drag Racing Hall of Fame, the Chevrolet Legends of Performance, the International Drag Racing Hall of Fame, the Automotive Hall of Fame and the National Corvette Museum Hall of Fame.